Visit in July 2013 and previous.. 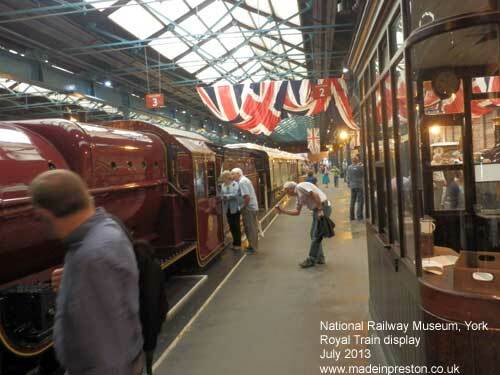 This is an excellent, large and well run museum close to the centre of York and comprises the locomotive hall, the workshop, the warehouse, the carriage hall, an outside working area and childrens railway area. Also an extensive library, archive and a decent cafe in both halls. The carriage hall cafe serves full meals. Entrance is free. 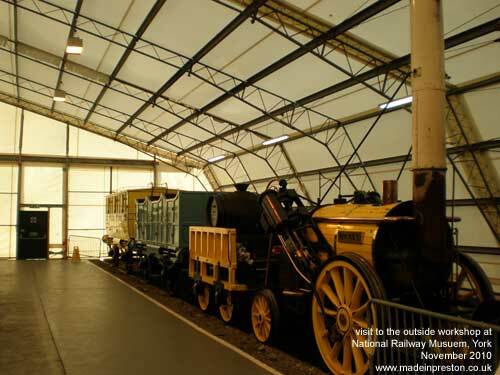 The museum is in a custom built large hall and an old railway building across the road. Both very large areas. There is a car park but it's expensive and small. A footbridge from the railway station is a good addition. 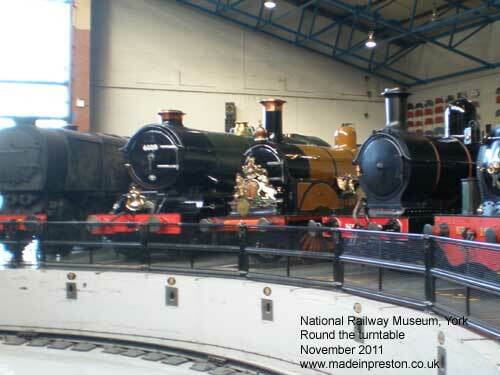 The NRM at York has a sister museum, Locomotion, at Shildon about 50 miles north. Exhibits move between the museums. The main loco display is round a turntable and in July 2013 it was Mallard 75 with 6 of the Gresley class A4 round the turntable. Two of them are based in North America and were brought over and refurbished. 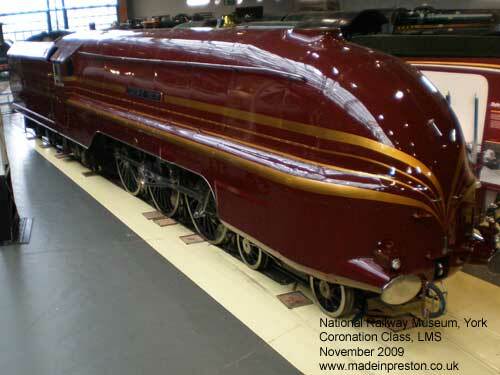 Mallard 75 celebrated Mallards world speed record, 126mph, of 75 years ago and still holding. 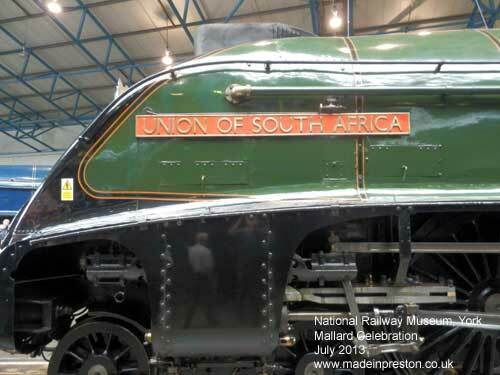 Union of South Africa, one of the British based A4 locos and one that runs. The LMS Coronation Class was designed to compete with the LNER A4 class. In November 2009 it was in the great hall newly painted. The west coast route has two big climbs, Shap and Beattock, the Coronation Class was very powerful and could take them easily. The carriage hall contains Royal Trains and station memorabilia. In November 2011 a display of old locos. 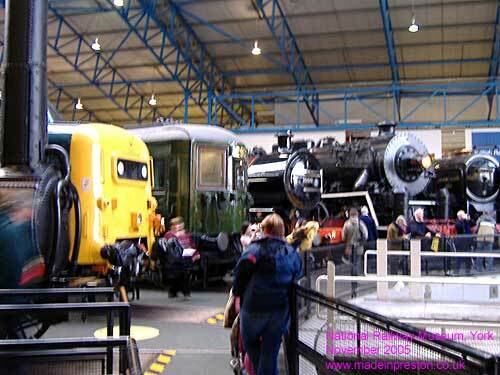 In November 2005 diesels, electrics, steam locos including the giant Chinese loco.